GOOOD NEWS!! 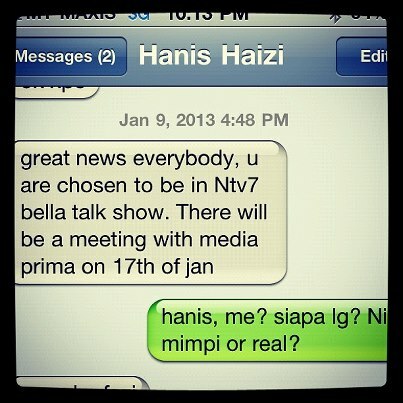 Shaliza Aziz & Sha Khalid will be in NTV7 Bella Talkshow! Rasa sangat teruja nak share about my mentor, Shaliza Aziz & Sha Khalid will be representing company in the NTV7 Bella Talkshaw!! Sure semua tahu about this talkshow,Hosted by four of Malaysia's most notable female celebrities - Daphne Iking, Elaine Daly, Sasha Saidin and Deborah Henry - the show celebrates womankind with daily segments on anything from fashion and beauty to high profile portfolios and managing finances. Itulah dia.In this business, macam-macam kita boleh capai selain diajar cara-cara nak generate income 5-6 angka. Dari, grooming diri (inside out), positive mind & attitudes hinggalah free travelling overseas 3 times a year, luxury car & many more can we achieved.Semestinya ia Tak mustahil!!! Alhamdulillah, Allah temukan Olyn dengan Group & Mentor yang betul.In Sha Allah, i will follow your steps..
Inilah masanya untuk you all tahu lebih lanjut tentang our simple tapi powerful biz plan.Plus, you have a chance to meet our CELEBRITY CDM, Hanis Haizi.Jom ambil aura positif from her banyak-banyak. 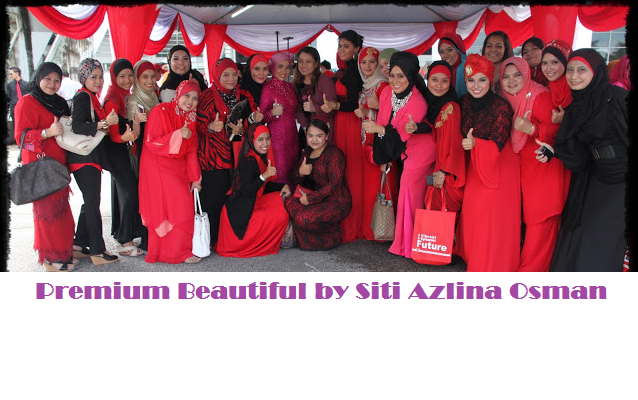 Tunggu my new post about GLOW!